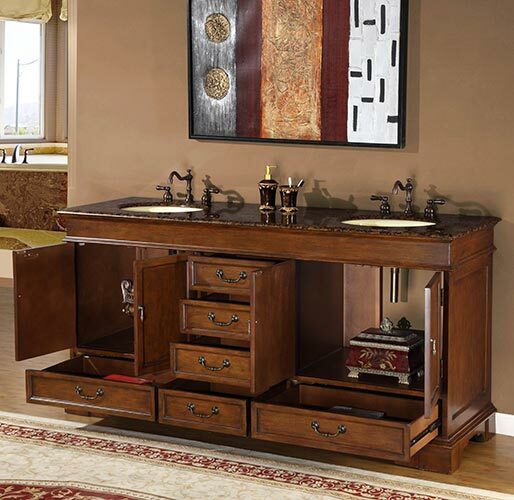 The Pietro Double Bath Vanity adds a sophisticated atmosphere with its hand-painted finish and antique brass hardware. 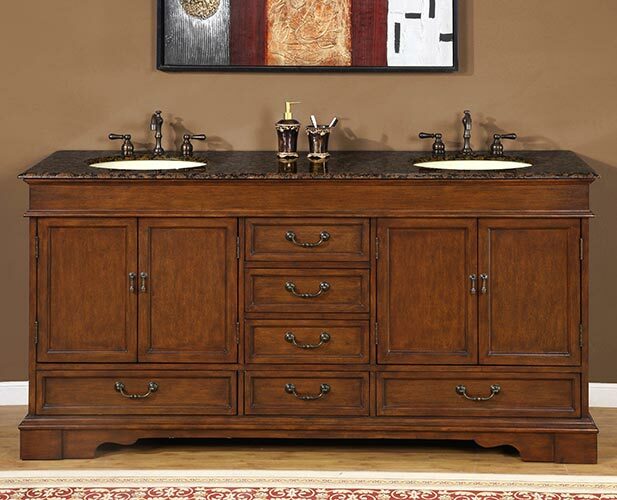 You can choose between a Baltic brown granite or Travertine counter top. 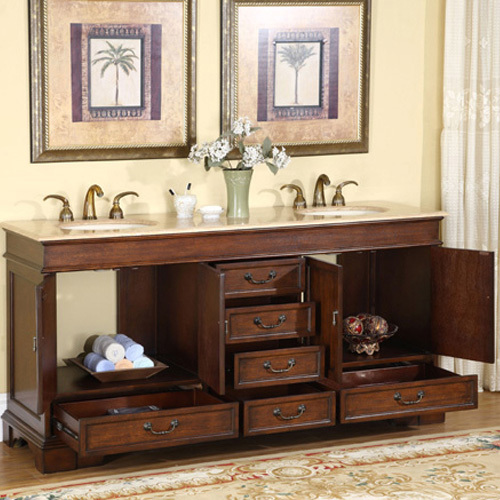 Whatever your selection, the counter top comes pre-drilled for easy faucet installation and also includes double under mount ivory ceramic sinks. 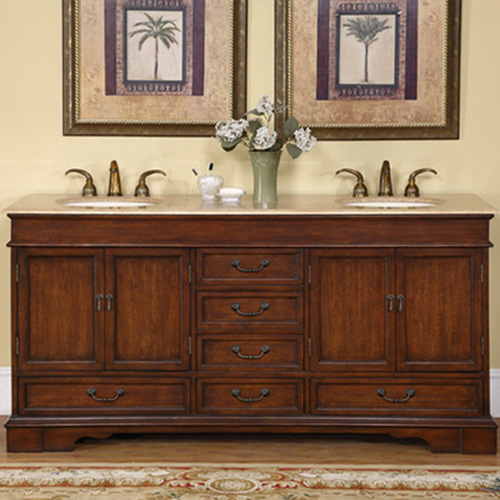 Six drawers and two double door cabinets provide plenty of room for storage and organization.